Europe's largest-ever elite Paratriathlon race took part in Hyde Park today, featuring over 40 athletes from 10 different countries. 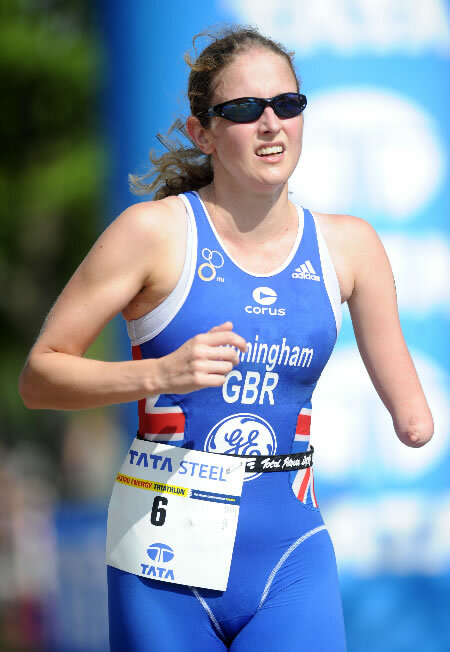 The men's race had athletes competing in all six Paratriathlon categories and the women's race had athletes competing in four different categories. Click here to learn more about the ITU Paratriathlon categories. At the end of the day 10 champions were crowned, with the USA and Great Britain leading the way, each winning three titles. Spain and France each won two titles. The competitors completed a super-sprint distance triathlon. Iain Dawson continued his winning form from the European Championships. The visually impaired athlete from Great Britain was a winner by over three minutes in the TRI6 category. He said: "The Swim was fairly tough. Lots of people were trying to swim in between us, so I had to fight not to lose position. It was a good result, and a good stepping stone to the World Championships in September." Susanna Rodriguez of Spain won the equivalent women's race in the TRI6 category. She said: "My race was OK, and it was a really nice venue-really well organised and I'm happy to be here in London with this opportunity to race. Lots of people were shouting your name, not just the British athletes, but for everyone." Faye McClellend of Great Britain continued her fine season with another win. She was exactly one minute ahead of world champion Clare Cunningham, also of Great Britain, in the women's TRI4 category. She said: "It's brilliant, it feels fantastic and it's nice to win it twice in a row. It was great coming through the finish area, it really gets you going."